As we head into 2018, the Oyster team is excited to provide our first project update. We plan to provide these types of updates on at least a monthly cadence moving forward. For day-to-day news and other intermittent news, we would encourage all interested parties to join our Telegram and Reddit communities. To say the last 3–4 weeks have been moving at a frenetic pace would be putting it lightly. Let’s summarize what has happened so far. After a relatively quiet ICO that raised limited funding (~300 ETH), the Oyster team decided to put forth 25 million coins in five separate sell walls in order to raise additional funds for development and organizational growth. This began on December 17th and received incredible community support. Within 24 hours, four of the five walls had been completely taken down (ranging from .05 to .09 cents) and PRL had become a top 2 volume coin on EtherDelta. With the funds raised from this sale effort, we were able to execute on a handful of strategic goals that are highlighted below. The team has grown at an exponential rate, and many highly qualified individuals who were already active within the community have been hired on full-time. In just a 3-week timeframe the team has grown from a small, three person organization to  talented individuals that have rounded out our organizational structure. We are continuing to look for skilled individuals, so feel free to reach out to us via Telegram with any potential referrals. 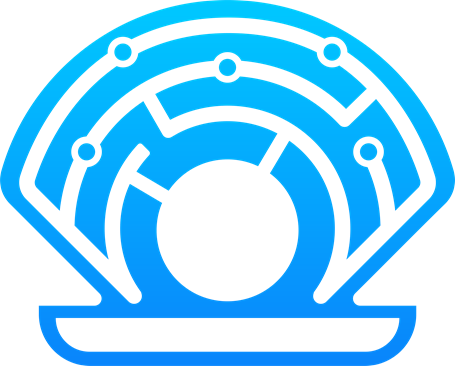 Our progress on the Oyster TestNet is on track for January release. While ramping up new hires takes time away from commits, we are confident our growing team will be up to speed and on-time. The TestNet will allow users to upload data to the IOTA Tangle, by spending PRL. The data can then be retrieved from any IOTA light wallet server for free, via the Oyster web client. Data storage will persist on the TestNet but serious storage needs will require use of the MainNet which will be released later on. For additional transparency, we are changing the way we commit code; instead of using a private repository and pushing to the public Github, all commits will soon be public as the feature branches are finished. You can also follow our constant progress on our public Trello board! You can observe development progress in our Oyster Development Channel on Telegram. 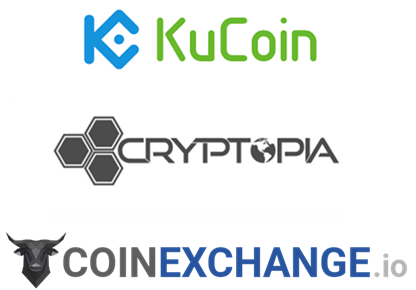 Funds raised from the partial development fund sale ultimately enabled Oyster to pursue listings on several additional exchanges including Kucoin, Cryptopia and Coinexchange. Three weeks ago, PRL was trading at one exchange (EtherDelta) and had approximately $50k of daily volume. Now, PRL trades on four exchanges and sits at $10 million of daily volume as of this writing. Needless to say, these additional listings have given our project an immense amount of additional exposure. While we are in discussions with additional exchanges about potential listings in the future, we will not make any comment on those discussions until they are final. Despite repeated attempts to get in touch with Coin Market Cap, our circulating coin supply number is still being shown incorrectly. Our current coin supply is 63,266,926, which pegs our current market cap over $90M and right near the Top 200 coins as of this writing. 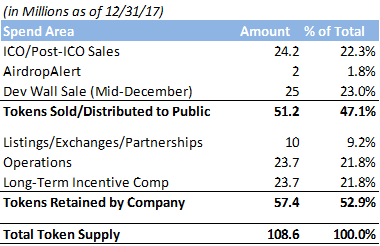 The Oyster team is looking to accomplish a great deal in 2018. We wouldn’t be here without the support of our incredibly dedicated and faithful community. Over the last three weeks, our online communities have grown over 100% and we are expecting to welcome our 5,000th member into Telegram later this month. We look forward to providing additional updates to the community as we reach significant development and business milestones in the weeks to come.